As a leader, you know it the minute your most talented employee walks into your office — she is going to resign. You chastise yourself: why didn’t I see it coming? If you are honest with yourself, you know that in some way, you did see it coming. You just didn’t take the time to do something about it. When a valued employee gives notice, it’s too late to salvage that employment relationship. Most companies conduct exit interviews through the human resources department as a perfunctory measure. Exit interviews won’t help you, the leader of the lost talent, because those meetings are nothing more than hindsight conversations. Want to prevent future flight of your top talent? Don’t wait until it’s too late: conduct a “stay interview,” an idea popularized by the book “Love ‘Em or Lose ‘Em: Getting Good People to Stay,” recently released in its fifth edition. Stay interviews serve two purposes: to let employees know how valued they are and to proactively identify problems that may lead to a team member’s departure. According to research released from the Institute for Corporate Productivity, these proactive career conversations were identified as one of six talent-management practices that companies use to boost employee engagement. Here’s how you can incorporate this powerful retention strategy with your team. Tell people what you’re doing. If the notion of talking with people about their careers outside of their performance review is novel, don’t foist this process on unsuspecting employees without explanation. It will foster suspicion and possibly even distrust. (Why is James talking to me about my career all of a sudden?) Giving your team members a heads-up about the upcoming meeting allows them time to gather their thoughts. Once you are clear about the purpose of implementing stay interviews, you can then frame up some conversation starters to help the meetings flow smoothly. Plan the conversation. Rather than thinking about this conversation in a linear format (First, I’ll ask ABC and then I’ll ask DEF), instead consider dividing the conversation into “domains” — areas of interest or concern that the employee may have. Possible domains may be: “Aspects of the job the employee likes”; “Aspects that are challenging”; “Career aspirations”; and “How you can help as a leader.” Then, after you’ve identified each domain, craft two or three questions for each that will encourage an open dialog with your team member. Formatting your conversation in this way helps you identify trends within the team. Plus, you won’t get thrown off track if the conversation takes a tangent. Follow up. It’s likely that your conversation will surface at least one idea that requires you to take action. You must do this as quickly as possible to show your commitment to the retention process you have just put into place. Dragging your heels on follow up will make your new retention efforts die on the vine. Losing a valuable employee is always difficult on a leader. While you can’t avoid losing your top talent in every case, you can definitely reduce the number of times you experience that sinking sensation in your gut when an employee asks, “Can we meet tomorrow morning?” Show your high-performing team members that you care about their careers by implementing stay interviews. 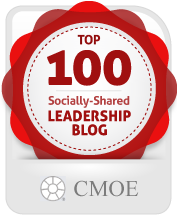 This article originally appeared on Smartblog on Leadership as Top talent walking out the door? Here’s how to get them to stay.